My dog suffered from Black Walnut toxicity. Learn how to protect your animals. 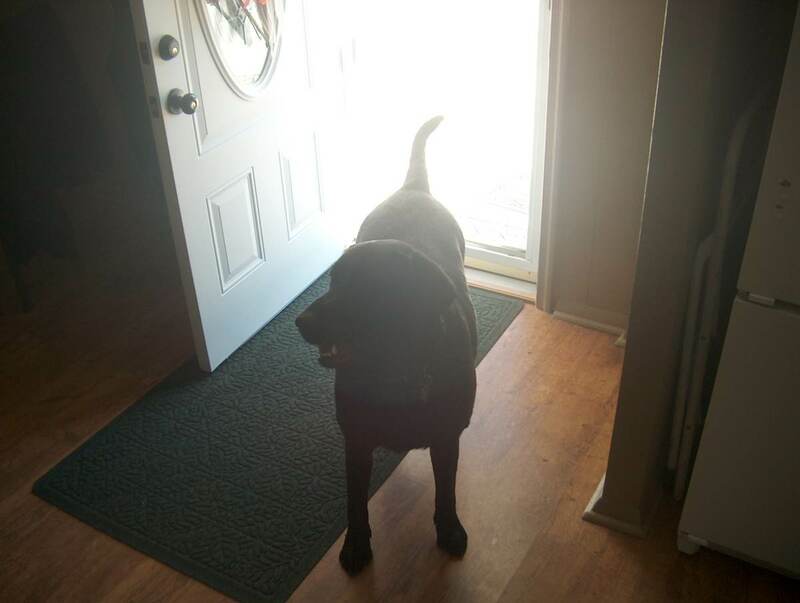 For those of you who do not know, Thor is my Black English Labrador Retriever. Jeannie, my girlfriend, brought him home from a professional breeder. She actually did this without my knowledge because I was still hurting over the loss of Dakota Sunrise, a yellow lab she had taken in who had been badly abused and mistreated. 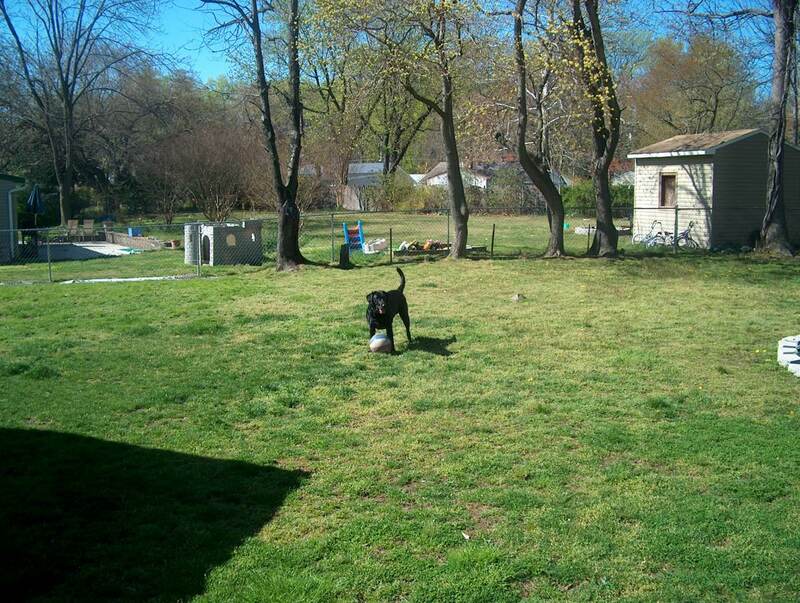 We have a huge backyard for the dogs to play in. We also have a tan-colored Cairn Terrier. Because we live in a court our larger yard is bordered by five, count'em, five other yards. One individual, isn't there always one, has seemingly never taken care of her trees. In one corner of her yard is a very tall and strong Black Walnut tree. If you're not sure what sort of tree this is it produces green fruits that contain the walnut. They actually look very much like crab apple but are very solid and can be deadly if they hit you from a great height. In fact, I have heard on two occasions those things fall and take a window out of another neighbors shed! That same neighbor had to call a tree company on another occasion because this woman's foliage was leaning over their house and was beginning to topple. My difficulties began with the Black Walnut when Thor was just 6 months old. 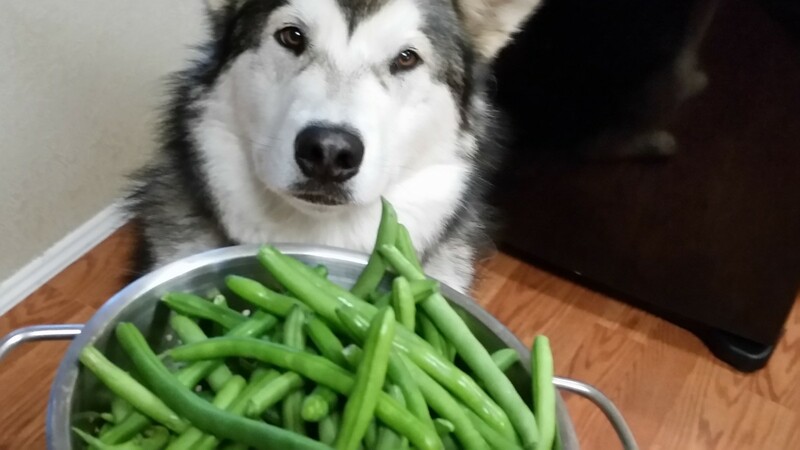 He found one of those green fruits and tore the husk off of it. At the time I had no idea what sort of tree it was and what sort of danger it presented to our animals. Kind of a tree hugger, I am reluctant to cut down any healthy tree if it isn't totally needed. After recognizing Thor's proclivity towards playing with the Black Walnuts, I made every effort to remove them from my yard. Toward the end of summer, they begin to drop and it becomes a nonstop rain of destruction! I was still working at the time so I couldn't be as on top of the situation as I would have liked. Then Thor got very sick. His eyes glazed over and drool was hanging from either side of his mouth and he froze in his footsteps. Suddenly every step was a struggle. I had no idea it was the Black Walnuts. I recognized that look though. I have seen it in the eyes of those who have partaken of dangerous substances like LSD. I knew then it was something he had eaten. After the first two to three hours, Thor began to drink large amounts of water. He seemed better initially but then he ran into our bedroom. He made a beeline for me. I am not sure why but he felt that it would be ok to throw up as long as it was near me. Maybe he knew there was little he could do that would make me overreact. I never blame an animal or a child for their actions. you simply deal with the moment and move on. After several more vomiting episodes, Thor had done what labs are known for. They realize they ate something bad and they drink a large volume of water in order to make themselves sick. In the past, we had rarely ever had an animal so young. Jeannie has ever been incapable of turning away a stray. These lessons were never learned by either of us although we have had many pets. I won't mention how many she has had in her life. A farmer's daughter she had literally barns full of homeless strays. We learned what we should have already known and that was keep your dog away from Black Walnuts! Also, we learned that he could have died! It is literally a poisonous plant which will spell the end of even other plant life that grows too closely to it! Thought I had it all figured out. Wrong. A huge branch from that tree had been hanging over our yard depositing its ugly, poison fruit all over our yard. I did not want another episode so I had been very diligent in removing them. Thor though had learned his lesson. He no longer bothered with them except to occasionally toss one in the air. I thought Thor had it all figured out. I was wrong again. I had promised myself and Jeannie to cut that branch down. The problem was it was very high up and I would have to go near the top to cut it. Not afraid of heights I endeavored to do this but with a chainsaw in one hand, stalling and sputtering out it became a frustrating effort to say the least. I turned then to the bow saw and cut it down the old fashioned way. The tough tree limb was the size of a small tree. It left branches and twigs scattered everywhere. While I cut the log down to the size town ordinance required Thor helped me order the big branches by moving them to the other side of the yard. He has always done this. I am not sure if he is simply trying to get me to chase him or he is actually trying to help but he is a big help either way. Even with the bigger logs and branches he cannot move easily he helps me carry by grabbing on and following my course. A great laugh! If he ever asks to get paid for this labor I do think I will remind him how many biscuits he eats. After finishing up a couple hours later all seemed well. Thor played long into the evening and seemed fine. A few hours later his eyes glazed over. He stood in front of the door with twin strings of drool hanging inexorably downward. I recognized that look. I knew instantly what happened and wanted to punch myself right in the face! Thor had been chewing at the sticks and twigs eagerly. he had even gone over and licked some sap from the biggest logs. Now Thor is older. He will be two years old in two months. He also weighs a hefty Ninety Lbs. He had not ingested the fruit but apparently the sap is enough to do the job! In fact, after calling the vet Jeannie learned that all tree sap is poisonous to cats and dogs! They are drawn to it because of the sugar, not knowing the trip they are in for. 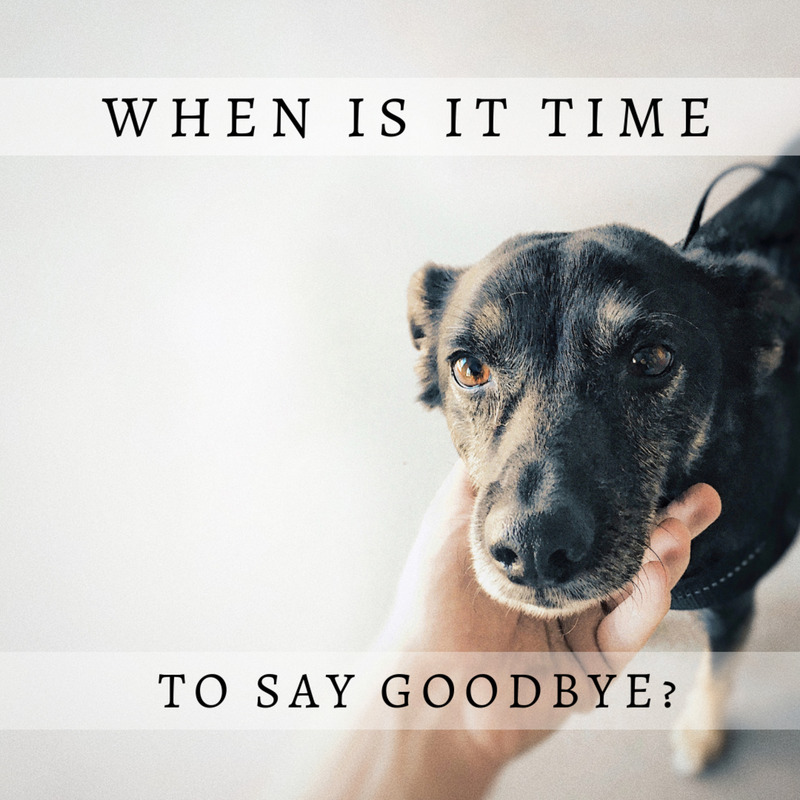 Then the vet mentioned he had lost four other dogs so far this year. He said that since we had no real winter the trees are giving off sap at the wrong time. After the first two hours Thor looked better but his strength was gone. He couldn't take a step. Now that he is a big fella being sick makes it tougher to get around. While everyone else was asleep I could not convince him to take another step. I got a blanket and laid it on the ground and sat down with him for the next two hours. He was restless and jumped at every sound. I knew he wasn't getting any better in the chill night. I woke up Jeannie so she could hold the doors open while I picked the big boy up. Thank god my back is still strong, that's all I have to say! By morning Thor was able to stand on his own and now by evening he is able to run and play. He never did go through the vomiting phase this time, thank all that's holy, and now he is sleeping off the residual exhaustion his night entailed. Black Walnut Trees must not be allowed to stand in residential areas. If you have trees that are seeping sap one way to keep your dog away from it is to build a taller landscape box around the trunk to close it off. Other ways are to wrap them with chicken wire and lattice. Do what you have to do. No pet deserves that horrible sickness or possible death. Just another tip from Barnsey. Do with it what you will. So glad I found your article. The vet tried to tell me it wasn't the black walnuts, that my 3 yr old lab mix played with because they look like balls. After a huge Vet bill they had no idea what the problem was, only that he must have eaten something toxic. Fred had all the same symptoms you described- lethargic, vomiting, drooling and then bloody diarrhea. My dog has a fenced in yard and does not wander. The next door neighbor has a black walnut tree right by our property line and all the nuts seem to fall in my yard. Fred is forever grabbing them to play while I try to pick them up. Your article confirms what I suspected! Thank you! About 2 1/2 years ago we had two large black walnut trees removed from our property as they were close to our house and growing above our neighbor’s garage. We found someone with a mobile mill who came to our place and milled the logs on site. Not knowing that these trees were toxic to dogs, the dogs stayed nearby while we helped with the cutting and stacking of the wood. There was So much saw dust in the air that I actually filled 13 large lawn & lead bags with it when we finished! By the end of the day one of the dogs was unable to stand and was very out of it. The other was also lethargic. I looked it up and found out about the toxicity concerns. They recovered within a day or so and I didn’t think anymore about it. Well, within another month or so they BOTH lost their hearing. One was an 11 year old yellow lab and the other an 8 year old small Shepard/border collie mix. Neither were all that old or were breeds that have a tendency for hearing loss. I expect that this exposure was the cause of their loss of hearing. I have an enclosed dog area that only has a black walnut tree as foliage, my Coonhound became really sick literally overnight. Drooling, vomiting, fever etc....he was in intensive care for four days. All of his bloodwork was good. They did an exploratory surgery thinking he had a blockage, but found nothing. Anyway, the Vet was at a loss since there wasn't anything but the stomach issues. It was winter so there were leaves and nuts around. I had moved in to the house in the summer, so I didn't think of the tree at all since I had been there for so long. Anyway, I had a suspension since I have horses and know it's toxic to them. I should mention I have two dogs and the other has never shown any signs. But she is very picky about what she eats and drinks. I always keep a fresh bucket of water out and I got them a pool for the summer. Well I was babysitting two other dogs the other day, they drank all the water from the bucket so they started drinking or if the pool. Except one a small dog that couldn't reach it. Well that night all the dogs were vomiting aggressively except the small dog. Leaves had fallen in the pool and been there for a few days. That's what made them sick , I would have never guessed if the other dogs had not come over and I had not witnessed them drinking. They recovered within 24 hours, I drained the pool and have now moved the water bucket way away from the tree for the off chance the wind could blow leaves into it. I knew the actual black walnuts were toxic but I had no idea about the branches, sap and saw dust! We have gone through two of the scariest weeks with our almost 15 year old chocolate lab and 3 year old black lab. Everything started when we had our black walnut tree taken down but branches, logs, saw dust were left in the yard! 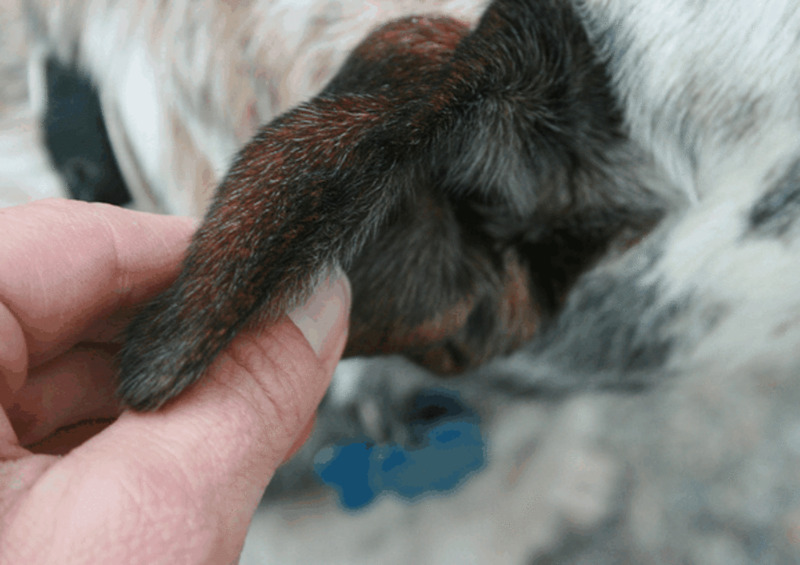 Older dog presented with shivers, GI issues and hind end lameness. My younger dog would not stand or move on his own without us assisting him. It happened a second time to him and he was screaming in pain and could not stand, within 8-10 hours he was running and playing again. These trees are toxic! Thank Goodness Thor was ok. I am not 100% certain because I did not witness our 8month old Bloodhound eat or chew any black walnuts but he has been very lethargic, disoriented at times, drooling for a few days. He did not vomit and his urination and bowel elimination were pretty normal. I did have him to the vet and mentioned that he could have ingested a black walnut as we discovered there were several laying in our back yard from a tree that is not on our property but the branches hang over so some do land in our yard. The vet did not seem to think our Hank ingested anything toxic. He ruled out an obstruction via an xray and put him on antibiotics as he had a very slight fever and also a shot of Pepcid to settle his stomach. He has shown some improvement as he is eating and drinking much better than he was the first two days that we noticed his symptoms. Although he does seem a little more alert now he still appears to be a little out of sorts and lethargic. This is very scary and we will now be very vigilant in making sure all black walnuts are removed from our yard at this time of year before letting our Hank out. Again we did not witness him ingesting black walnuts but he I also know that he is a puppy and puppies chew everything and he was displaying a lot of the same symptoms as your Thor. thanks for sharing your story. I am hoping that Hank continues to improve and gets back to his old puppy self. Good, the tree doesn't start to grow the walnuts until summer so you should be able to stop it from happening next year, good luck. Just found out black walnuts are toxic to dogs on Pinterest. We have a walnut tree in our yard and a black lab who lives to chew on things. She recently started vomiting for no reason. I now know why. We will be having the tree removed in spring when we can afford it. So sorry to hear that, Mona, Its not your fault, there is no guidebook I know of that tells us these things and we always find out too late. Hope your dog gets better real soon, hang in there. My dog is with the vet getting a barium x-ray at this point. He's been vomiting for months, on and off. I suspected the Black Walnut tree because he's interested in licking the downed nuts and husks, as well as the Water Chestnut. After reading this, these are exactly his symptoms. He was 70 lbs. now he's 54 lbs. May have leaks in his intestines. So angry with myself for not muzzling him. Bloodwork looks like it could just be the Black Walnuts, and if I'd tested a muzzle sooner, would have known without putting him through all this. 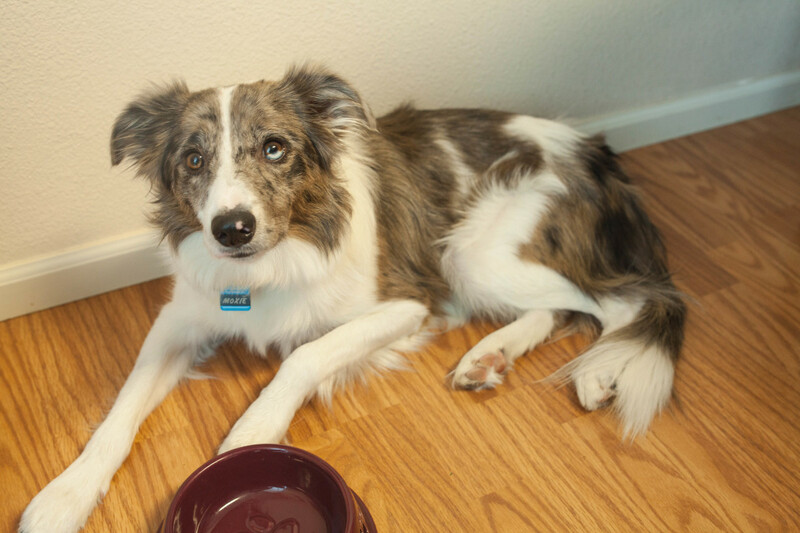 Although this site doesn't mention black walnut as being poisonous to dogs, it does mention many other trees and shrubs that are toxic to cats and dogs. I see many of these plants around my neighborhood, and rarely hear of animals eating them and poisoning themselves. Just food for thought. I'm not a vet though so I can't verify any of this information. We have three 7 1/2 old black lab mix puppies, 2 boys and a girl that we raised by bottle when their mother died while having a C-section to deliver them. We had went thru so many trials and tribulations to keep them alive when the chances were slim but we made it thru all of them. As they grew they were all very strong, playful and healthy until a couple of weeks ago when our little female started to show all of the signs of poisoning that you posted in your story. At first we thought she must have gotten into the trash can and ate some coffee grounds. we kept thinking it was the grounds and the vet came out and gave her a shot for toxicity. That did not seem to work. She did not eat for five days and only consumed large amounts of water and soon afterwords would puke it all up. It always seemed to intensify at night and we would sleep close to her on the floor. During the first 3 nights we thought we were going to loose her. Her breathing and heart rate slowed down to almost nothing. She had became so weak that she couldn't even hold her head up. It was such a helpless feeling knowing there was nothing that we could do to make it all go away, except for time. Time for her to pass or time for her to improve. After the 4th night things began to turn around for her. She slowly started to show signs of improvement and by the 6th day she began to come out of the stupor and weakness and gradually regained her appetite. Today is the 10th day and she is back to playful and frisky less a few pounds. but that's not the end of the story, about 5 days into her sickness, our male started exhibiting the same exact signs. drull, excessive water intake and pukeing along with confusion, and weakness. The same exact signs. So now the thought of the coffee grounds poisioning was nixed. We for the life of us could not figure out what was causing this thing to happen to our babies. Our 3rd lab was not showing any signs yet and I just had to keep trying to figure out what it was. I couldn't handle another sick baby without knowing the exact cause. I had to get to the bottom of this madness. I researched and researched but did not find anything that matched the symptoms until I read your story. Thank God for you writing about your experience with Thor. I had moved into a house 2 years ago and loved it because of all the big mature trees it had in the neighborhood. I am not one who knows the type of trees by the shape of leaves or type of bark, I Just loved watching the birds and squirrels do their thing. As daylight arose, I went into the back yard to search for walnuts that may have fallen from somewhere and sure enough was a big tree in my neighbors yard with branches extending over on to my side of the fence and below on the ground were several blackened moldy walnuts and husks. I had also seen remnants tossed about the yard that had been chewed on. Once again I called the vet to let him know the findings. He said that there is no antidote for ingesting walnuts. I had absolutely no idea that something like this was so toxic. You always hear about chocolate, avocados, and rasins being toxic. but not hardly anything on black walnuts. Needless to say, the branches came down and were removed. Being the puppies that they are, They are constantly exploring and chewing on things. However, I am now aware of the dangers that these black walnuts bring. Our boy is still not out of the woods yet and may have eaten more than our female. All we can do is keep him comfortable and let him know that we are there for him. Thanks again for your story. You forget to mention that Black Walnut trees are great de-wormers. I would have loved to hear about how great the black walnut is when it comes to take care of heart worms in our animal friends and save their lives! Legally you can cut down anything that is hanging into or over your yard. Your neighbor may like a warning that you are going to do it but you don't even have to give them one. I cut down a giant black walnut branch during the beginning of the summer. Not my tree but hanging directly over my property therefore fair game. I am so grateful to you that i came across this when i did. I have a lab that doesn't show any interest in my neighbors tree. Which by the way is hanying into my yard. This article has explained one of my cats illness a week ago though. Is there anything legally i can do to protect my pets? Thank you, Thor is a little weak still but he's going to be fine. I had no idea these tree's were poisonous. Thank-you so much for sharing. Your story almost had me in tears when you described his condition. :( I am happy to hear he's alright.